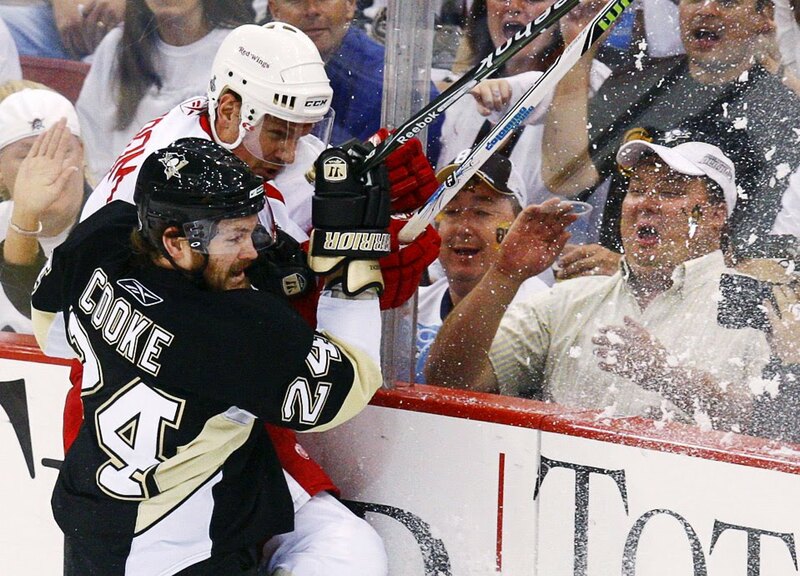 Matt Cooke is "that guy". You know, that guy on the team that you are glad to have because it means he won't be injuring any of your team's top players! At least that is how he is perceived by many fans around the league... but not in Pittsburgh. To Penguins fans, Cooke is a hard charging, energy player that can do it all. He scores 15 goals per season, kills penalties as well as anyone, gets some power play time, is a furious fore and back-checker, will sacrifice his body to block shots, throw a few hits; and, on occasion, maybe kinda-sorta will cross the line on a blind side hit in the heat of the moment. Left winger Matt Cooke has agreed to a three-year contract with the Penguins. His annual salary-cap hit will be $1.8 million. Cooke, a fixture on the Penguins' third line and their penalty-killing unit, would have become an unrestricted free agent if not re-signed by July 1. It appears that Penguins management views Cooke much like their fanbase does. The Pittsburgh front office stated that Cooke was a priority re-signing for them and they treated it that way. Thusfar, he is the first of the Penguins' roster players to agree to a new deal.